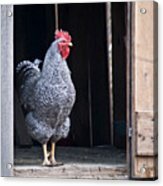 Queen duvet cover (88" x 88") featuring the image "Rooster With Attitude" by Douglas Barnett. Our soft microfiber duvet covers are hand sewn and include a hidden zipper for easy washing and assembly. Your selected image is printed on the top surface with a soft white surface underneath. All duvet covers are machine washable with cold water and a mild detergent. Excellent shot! The title is perfect for this fella. 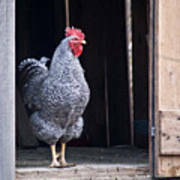 You can tell who's king of that hen house! Congrats! 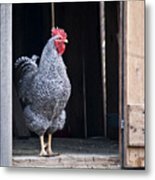 This is one really nice Rooster,Congrats on your sale!!!! Wonderful image!! Congratulations on your sale!! lovely image, i like it very much, congratulations. 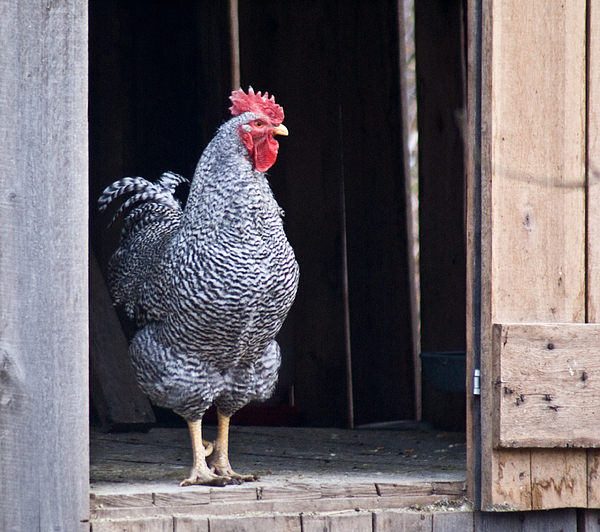 Rooster showing his attitude on exiting the chicken house makes a good photo.